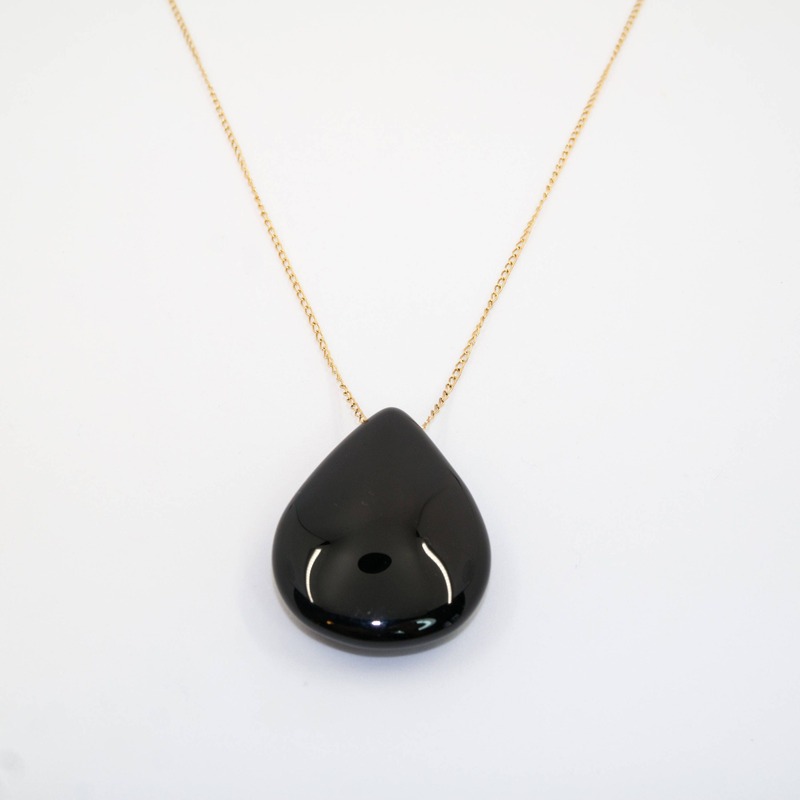 • 14kt Goldfilled chain and onyx teardrop. • Necklace measures 22 inches. If you have any questions or requests about the fit of this piece please don't hesitate to contact me! I bought this necklace as a gift and wanted to keep it for myself! 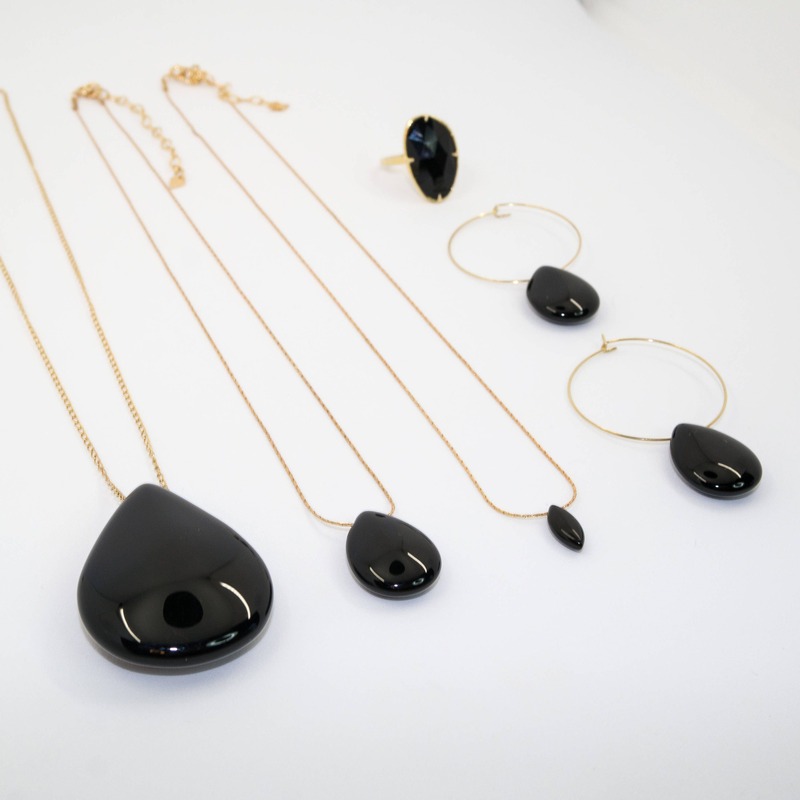 Really nice quality jewelry, beautiful packaging and great communication from the shop. I will be ordering a lot more from you! Thank you!